Welcome back to our Weekly Round Up Blog where this week we'll be catching up on our team's antics and also our Smart Chair's new gadget fame. Those of you from the Shropshire area will know of The Wrekin and those who aren't will probably have seen it mentioned more than once in our previous blog posts. Well now it's finally time to reveal the photos of what we got up to for our Move Week activity. But before we let you scroll down and laugh at our team stomping up a windy hill, we thought we'd give you a quick recap about why we were doing this. Move Week was happening all across Europe between the 7th and 30th September as part of the Now We Move campaign. The objective was to get people up and moving around, to promote the benefits of being active and participating regularly in sport and other physical activities. Setting off from the bottom through the trees, already sporting our bright orange Move Week tees. It didn't take long until the views starting looking good and we had to stop to take some photos. Of course we had to take some photographs of the monuments at the top to prove that we made it. Between selfies, we still answered the phone, work is never far away, even up a hill. And finally a team shot, so orange I'm sure we could be seen for miles and miles away. Well this year we marched up The Wrekin and so next year we plan on doing something active again. We want to go bigger and better and we welcome you to comment your ideas below. 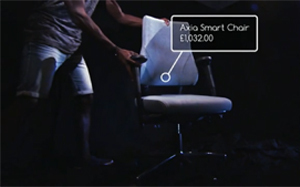 Gadget Show: "The Axia Smart Chair is fighting crime..."
The online addition to the gadget show has been designed to get viewers more involved with the world’s best gadgets. In the first episode Jason and Ortis are in direct competition with a master detective to figure out who out of three suspects committed car theft. The two use lots of high end tech to see if they can discover the truth from the lies. The first of those products to take the stage is the Axia Smart Chair. They used it to see how comfortable their potential criminals were sitting. One of the suspects known as Jack had continuous good posture throughout the inquisition, shown by the continuous green lights on the Smart Chair as well as the laptop it had been connected to. The other two suspects were moving around a lot more which showed Jason and Ortis how uncomfortable they were with the questions. Although they did not convict the right criminal, neither did the detective, making this first “Versus” episode a draw. However the tech did allow them to figure out who was innocent and also who had good posture. If you'd like to watch the full episode then please click this link. My role is versatile. 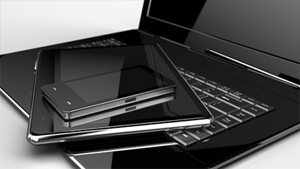 It involves the design, implementation and delivery of communication and marketing campaigns as well as product launches. I plan, create and maintain information and visuals to support general sales and the sales team. With the help of my small team, now there is two of us – we promote Nomique’s products to existing and prospective customers. 3 years, first as an employee, now as and external freelancer from my new home in Brussels. I completed my Master Degree in Visual Communication at the University of Wolverhampton. A vet, although I was afraid of almost every animal. After that, an architect. Probably at home on my couch. Dry humour, sarcasm and this sheep version of Lorde’s song Tennis Court. I don’t like butter and cheese only when it’s melted. If you want to know more about Yvonne's role here at Nomique then feel free to ask questions in the comments below. Also please follow us on our social media pages to keep up to date with all things Nomique. We're back and this time we're targeting technology, all of it's ups and downs, pros and cons and exciting influences, in and around the workplace. From the Industrial Revolution to the 21st Century technology has been rapidly evolving and it isn't stopping anytime soon. There is something new every week with constant product launches and concepts for items that are garaunteed to make our lives easier. It's become the norm to have a phone in your hand 24/7 and it's now socially acceptable to answer your emails and texts whilst in the presence of another employee, because it's right there at your finger tips. The scene to the left certainly isn't unusual, if anything it's now common to see groups of colleagues or friends sat together but all having their own individual conversations with people that are miles away. On the one side it is fantastic that technology allows us to be constantly in communication, it's increasing productivity and collaboration throughout businesses and across the world. We found an interesting article that summarises the "4 Ways Technology Has Changed The Modern Workplace" for the better. However the question that's bounced around for the last year is whether or not technology is actually starting to negatively impact on the way in which we communicate face to face, on the phone and online. Naturally and often unaware we alter our tone of voice, facial expression, eye contact and other nonverbal actions to help another person to understand exactly what we are saying. This is all lost when we put our fingers to the keyboard and type it all down. Although emails and texts make communication so much faster, at the moment there is still a lack of rules and etiquette which can lead to misunderstanding. 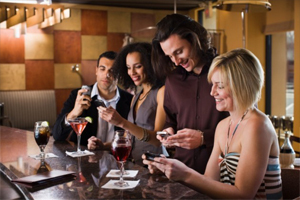 To help you make the right nonverbal decisions we found a useful article on this: "tips for email and texting etiquette"
As well as changing the way we communicate the advancements in technology can also decrease productivity which might come as a surprise to many. Think about it though, your phone is constantly on and your notifications come through at all hours of the day so the workday starts to become 24/7, which is not necessarily a good thing. After all this has been linked to increased stress levels and more of a distraction from actual work therefore decreasing our productivity levels. Really it's all about balance, the right amount of technology, in the right place and at the right time can be really beneficial to everyone and every company. So check with your employees and colleagues that everyone is getting that balance just right. 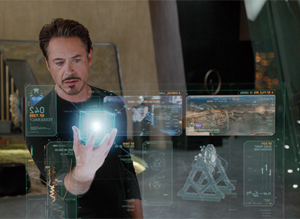 The topic of technology always makes me think of Stark Industries and the vast amount of futuristic tech that they portray in all the Iron Man films. We might not be there yet but it surprises me everytime I watch one of these films how close we are getting to actually be able to create and use this kind of technology. So put your feet up and relax this weekend while watching an Iron Man film or reading up on what Marvel sees as the top 10 pieces of tech. Funnily enough the top 3 are linked to Iron Man. Let us know in the comments below what piece of tech you would want most from the Iron Man films or what gadget you're waiting to hit the shops. While we're talking gadgets we thought we'd show you one that we found recently and feel will change the way in which designers work, for the better. 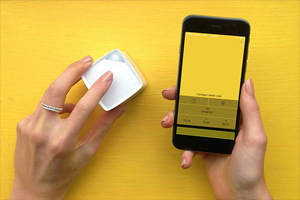 The Cube by Palette is an innovative piece of technology that fits in the palm of your hand. Connected to a device it can capture the colour of almost any surface. Allowing designers to save and use colours in various formats on screen, for printing or even to match to paint. We've been arranging this years trip down to London Design Week (LDW) and although we won't be exhibiting this year we will be making the most of the shows and are very excited about 100% Design's "Future Living" theme. This concept means that more innovative technology will be shown this year than ever before and with the constant technological growth across all sectors it's so important to keep up to date with what's coming next. 100% Design are running a competition to win one of those fantastic Cube's just by registering for the show. Have a look for yourself here. Look out for our LDW Round Up soon to hear about our favourite things from the shows. Welcome to our NEW weekly "team intro". This week we would like to introduce our newest and youngest team member from the Nomique offices. Leading on nicely from last weeks young talent themed blog post. So many things! Social media, space planning, branding, articles and even organising staff events for outside of work. There's always something different thrown my way each day and it definitely keeps it interesting. I've just graduated from The University of Wolverhampton with a 1st class degree in Interior Design so the last three years have been dedicated to my studies and of course lots of student social life. A nurse. What I was thinking I don't know, I would have been useless as I'm really not good with sick people, so I'm glad I got into design. That's a tough one as I love to travel but I'd have to go with the secluded spots in the Algarve in Portugal where I've found beautiful waterfalls and fresh water pools which are perfect on a hot hot summers day to swim in and picnic by the side of. Nature is always stunning. The video I once saw of a moose running through a canadian supermarket, the shop assistant couldn't understand why the moose hadn't eaten the sandwiches she'd made! My hair is bright BRIGHT BLUE. 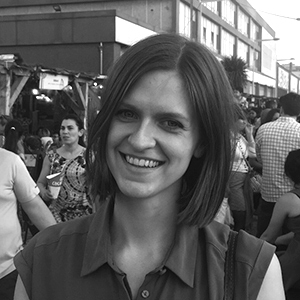 If you want to know more about Isobel's role here at Nomique then feel free to ask questions in the comments below. Also please follow us on our social media pages to keep up to date with all things Nomique. We're here again with some more blogging for you to enjoy at your leisure and this week we're focusing on introducing young people into the workplace. The age gap in the workplace is ever increasing; what with retirement coming a lot later and technology helping young people move up the ladder quicker than ever before. Therefore it's not unusual to see someone in their 60's reporting to a manager in their 20's. There have been many issues raised that often give a negative outlook on hiring those with a distinct age difference from the rest of the team. However these generation gaps are not necessarily such a terrible thing. We found two really interesting articles that give some great insights to lots of ways to address the age differences that we are now finding in the workplace. 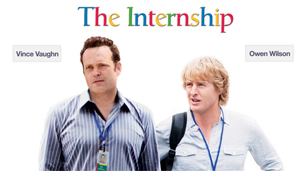 Have you seen The Internship yet? If not perhaps this weekend would be the perfect time to get out of the rain, put your feet up and have a watch. This film is full of comedy humour but also raises a lot of the issues for the young and old when starting new careers in such a heavily technology based working environment, such as Google offices. Although this can be well related to any job in any industry these days. Here at Nomique we are proof that generation gaps do work. We've worked with both The University of Wolverhampton and Birmingham City University to recruit young talent and give young designers a chance to gain some valued industry experience. It's a win-win situation for everyone involved. 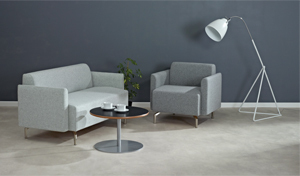 I'm sure you all recognise Milo, a fairly recent addition to our soft seating range. If not then check it out on our website. Milo was designed in-house by Mitch Davenport as part of the KEEN (Knowledge Exchange & Enterprise Network) project. This meant that throughout the design process he was able to receive support and knowledge from industry experts that also lecture at the University of Wolverhampton. The KEEN project is still ongoing, allowing Mitch to access all the facilities, technology and advice he needs. These links with The University of Wolverhampton have not only helped Mitch find his feet in the industry and lead him into full time employment but they have also given Nomique chance to recruit even more young people with plenty of fresh ideas and new skills. For example our external Marketing and Communication Designer Yvonne John has now been working with Nomique for almost three years. She first joined Nomique through a graduate placement within the STEP programme that was arranged by The University of Wolverhampton. 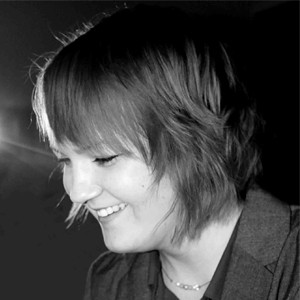 As well as all of the above Nomique have now also taken on our new Marketing Assitant Isobel Coleman whose just graduated in Interior Design from The University of Wolverhampton. Over the next few weeks we will be giving more information and insight into the Nomique team so keep checking in with our blog posts to be in the know. We briefly mentioned our collaboration with Birmingham City University (BCU), this has opened up the opportunity to offer some summer internships to second year design students. This summer Sam Bailey, a Product Designer from BCU has been working on some concepts to improve our products and our office space layout. He came back with some intriguing ideas and we are looking forward to implementing them soon so watch THIS SPACE. Remember our blog about Move Week? In fact we've mentioned it so much on our social media pages that you probably know everything about it now and what we're up to. If not then have a browse of that blog and check out the Now We Move website for more information. So as you may or may not know we have a walk planned to go up the Wrekin very very soon, in fact it's only a week away! Our bright orange Move Week T-shirts are here and our staff are all getting geared up for spending a rainy evening together at 1335 feet above sea level, well that's if we get to the top. Not only are we going walking to encourage movement and regular physical activity but we are also wanting to increase the amount of time the Nomique team spend together outside of work. It's really important to socialise within your company team to build strong working relationships. Although, people's competitive nature can sometimes get the better of them and cause more bad than good. We found this apt article all about what to keep in mind when exercising with your colleagues and bosses. Make sure to keep an eye out for all our fun photos from our Wrekin Walk. Plus we won't be stopping our out of work activities after move week, we've got plenty planned including some Go-Karting!